Half-timbered architecture of Strasbourg with the Cathedrale Notre-Dame de Strasbourg spire in the background. 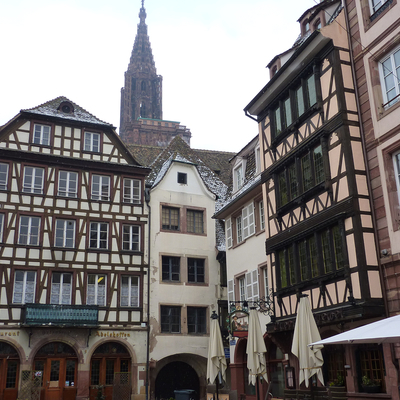 Add tags for "Half-timbered architecture of Strasbourg with the Cathedrale Notre-Dame de Strasbourg spire in the background.". Be the first. <http://www.worldcat.org/oclc/841441594> # Half-timbered architecture of Strasbourg with the Cathedrale Notre-Dame de Strasbourg spire in the background. schema:about <http://www.worldcat.org/oclc/841441594> ; # Half-timbered architecture of Strasbourg with the Cathedrale Notre-Dame de Strasbourg spire in the background.